now, 125 years later, an artisan brewery is returning to Railside. 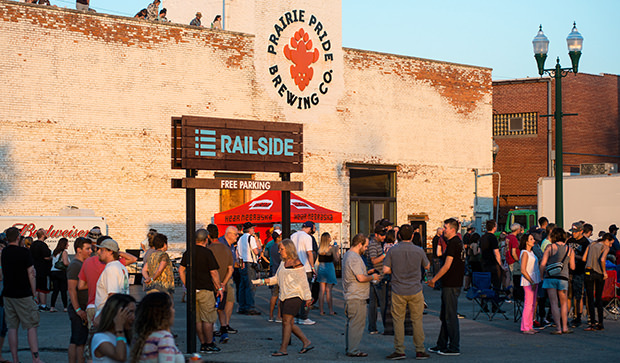 Prairie Pride Brewing Company is a neighborhood changer, it’s going to pull traffic into Railside. With a craft beer, brewed in a small environment, you get a mix of high quality ingredients, not just added adjunct sugars to make alcohol. Grand Island was home to at least four breweries between 1891 and 1902 including State Central, Grand Island Brewing Co., Lange Brothers Brewing, and Schlitz Brewing house according to Stuhr Museum records. Prohibition shut all of them down. Now, 125 years later, an artisan brewery is returning to Railside. 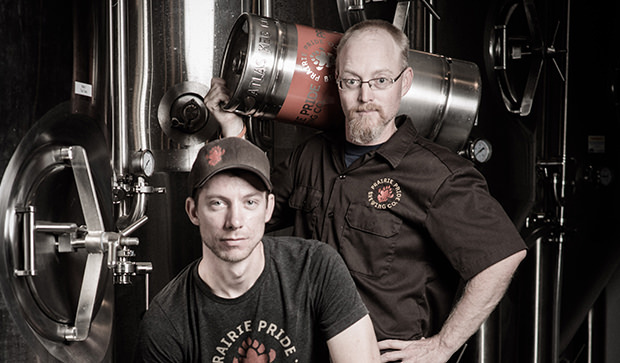 A partnership was formed recently to create Prairie Pride Brewing Co. Alex Briner and Jay Mack are proudly in charge of the brewing. Founding partner Phil Cahoy collects pre-Prohibition beer memorabilia and came to a meeting with an original Hastings Brewing Company beer label. “The beer name was Prairie Pride Beer and the label pictured a buffalo on it. So we used that name and modernized the buffalo for our logo,” Mack said. The brewery gave people a preview of their beers at the Liederkranz’ second annual Craft Brew & Sausage Fest in September 2016. Grand Island’s own Thompson Foods Company will be distributing Prairie Pride beers, and the taproom overlooking the operation should be finished in 2016. After touring the brewery in early October, I sent Briner and Mack a few questions to deepen our understanding of this new business. Their responses can be read on the following pages, preferably while sipping one of the beers pictured here. As craftsman and as partakers, what attracts you to beer as a beverage in general? What makes beers brewed at a microbrewery different than something you’d purchase from a large brewer? When you purchase a beer from a large brewer, it is that beer, the beer they have been brewing for years and years. It has never changed and probably never will. It has the same staple ingredients it always has and always will. It has been blended from multiple vats to create what we have grown to know as the Macro beer. With a craft beer, brewed in a small environment, you get a mix of high quality ingredients, not just added adjunct sugars to make alcohol. We are able to try new things, create new brews and yet still produce our staple brands. We are expected to produce new beers as we grow. What specific attributes set Prairie Pride Brewing Co.’s beers apart in comparison to other microbreweries? Prairie Pride Brewing Co. is one of the freshman in a world of craft breweries in Nebraska. We can produce beers similar to our senior brewers, so we have to be a little bit innovative and creative in our endeavor. We will look beyond the norms to brew some great beers that consumers will seek out. We want to bring new drinkers into the craft beer market. One of the things we started almost immediately was to work our beers into oak barrels. We look to increase this barrel program as we grow. 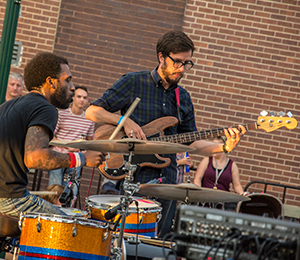 Why did you choose downtown Grand Island as the location for your company? It was a mix of luck, conversations, and vision. When starting a business that deals with craft beer, a location is the first item to cross off the list. Through connections within our circle we were able to find our building. Amos Anson brought forth the building and presented his ideas and we moved on it from there. Grand Island is a community of 50,000 with no craft brewery, so strategically that was key to our decision as well. We have 16 taps; our plan is to keep most of our core on tap at all times. After the [start of 2017] we hope to start sending product out in bottles. The six starred products are what we plan to package. 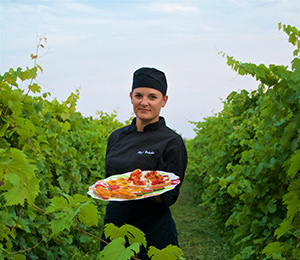 Our food menu is up in the air at the moment, but we do plan to have small food offerings to curb the craving! 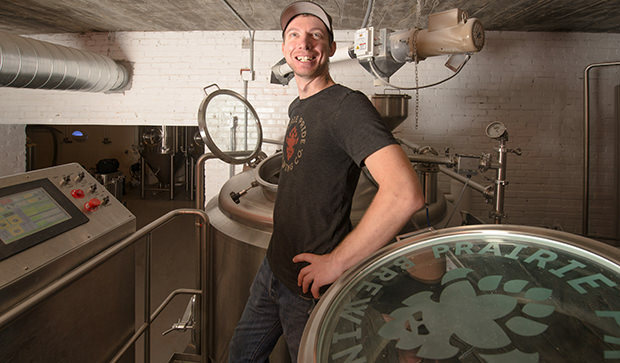 Brewing beer at Prairie Pride Brewing Company starts with the recipe and a grain bill. The grain bill is comprised of base malts, flavor, and color malts. We run the grain through a mill that cracks the kernel, separating it from husk. The grain is moved into the mash tun and hydrated with hot water. We call this mashing in. Mixing the grain with hot water activates enzymes that turn the starches in the grain into sugars. After the conversion is complete, we pull the hot liquid, now called wort, into the boil kettle. We also run hot water over the grain in order to pull as much sugar as we can into the kettle. In the kettle, we boil the wort for 60 to 90 minutes. This helps to sanitize the wort. During this step we also add bitter and aromatic hops to give the beer the desired flavor. After the boil, we move the wort into the whirlpool, we put it into a slow spin that pulls much of the particulates we do not want in the beer to the center, helping us to create a cleaner beer. Once the whirlpool is complete, we pass the wort through a chill plate that takes it from 158 degrees to our fermentation temperature of 65 degrees. As it leaves the chill plate, it is moved into a fermentation tank and yeast is added and starts doing its work. After 7 to 10 days, we filter, move, and carbonate the beer. We then keg this beer and allow it to rest a couple days and then move it onto the consumer. 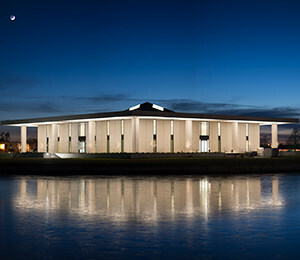 What is your vision for Prairie Pride, personally and in the context of the community of Grand Island? For the community, Prairie Pride Brewing Company is a neighborhood changer, it’s going to pull traffic into downtown. People will stop in the taproom for a beer or two with friends, move to the Chicken Coop or McKinney’s for a meal and then be off to the Chocolate Bar for a bit of sweet to end the night. Where can people buy Prairie Pride’s ales? 24 other locations around Nebraska, from Scottsbluff to Lincoln, will also be serving up Prairie Pride Brews. Keep tabs on the progress of their taproom and local retail outlets on their website, PrairiePrideBrewery.com.